1. LINE: Using Lancome Le Poudre in Brunet, draw a straight line at the roots of the brow, connecting the inner portion of the brow to the brow arch. 2. TAIL: Fill in the tail end of the brow and extend as needed. 3. FILL IN: Using short light strokes, fill in any sparse areas within the brow. 4. BLEND: Brush out and blend the product using the spoolie end of the pencil. 5. CLEAN UP: Create a clean sharp edge under the brow using Lancome Pro Corrector and blend the product with a brush. This will clean up any stray hairs or imperfections and add brightness to the brow bone. What's your cat eye Flavor? Place the Artliner wand on top of the roots of the lashes and glide across from the inner to the outer corner of the eye. Thicken the liner gradually at the outer third and add an extended wing following the angle of the lower lash line. Great for any eye shape. 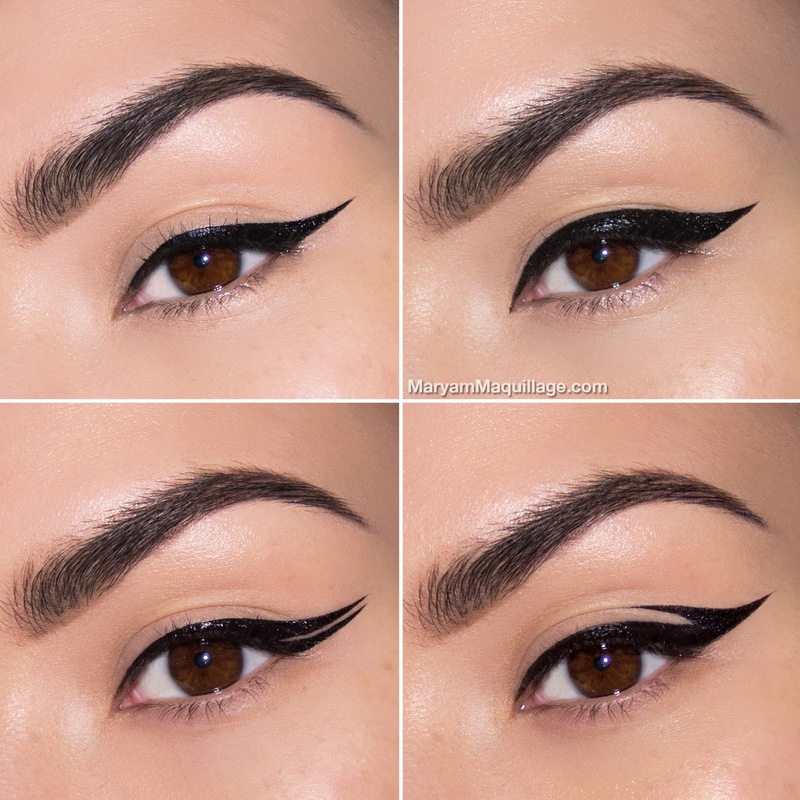 Fuller, thicker version of the Sleek Cat eye. Great for accentuating Asian eyes or smaller eyes. Line the top lash line from the inner to the outer corner of the eye keeping the width the same throughout and tapering only at the inner corner. Paint a sleek cat eye across the top lash line and wing it out. Draw a second wing directly underneath to give the look a graphic, exotic feel. Line the top lash line, gradually thickening the liner at the outer corner. 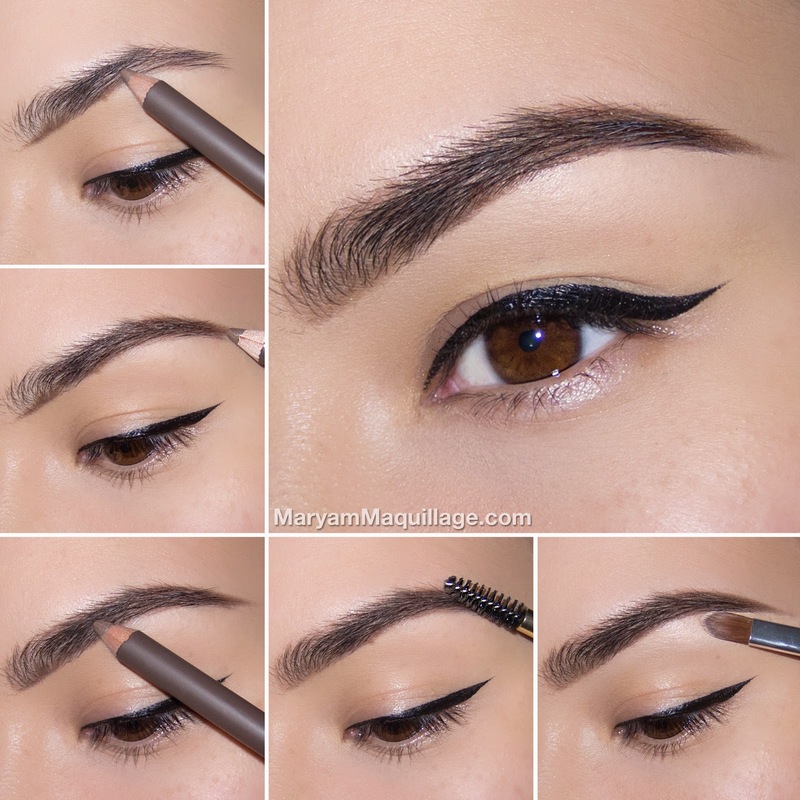 Add an extended wing and draw a flick directly in the outer crease, starting from the outer point of the wing. I'm going for a sleek cat eye in a wash of golden shadows, complemented by voluminous lashes and peach lips. Happy Makeup-ing and Happy Fourth!!! You did an amazing job <3 <3 Love the eye makeup so much!!!! i love this makeup but also your beautiful dress! Totally!! For lighter brow hairs and skin, you should use Taupe brow pencils or gels. Anastasia Beverly Hills has an amazing product called dipbrow pomade in Blonde that you will love!! I love the double winged liner and the modern crease one, but honestly most of the time I wear a long regular wing. I like to have the bottom of mine curved and joining up to my lower lashline but it's never as precise and perfect as yours here! By the way you look gorgeous in your red dress here, well you look hot always, but your curves are fierce and you are looking fabulous! You're short like me I think, I'm 5'4" or maybe closer to 5'3" and I must say that you are rocking your figure and inspiring me to get more toned again.